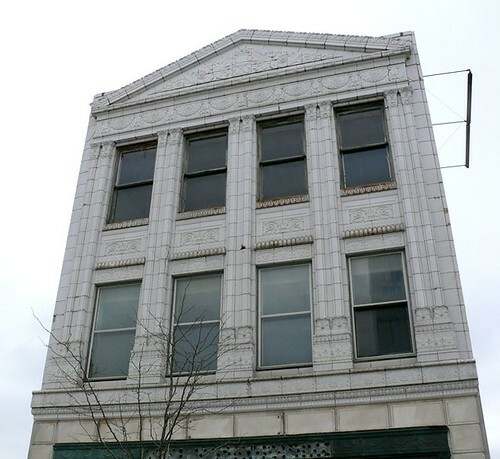 In March of 2010, I provided a detailed history of the Luster Tannery, a finely-crafted stone building at 16360 Euclid Avenue. The structure, built circa 1850, was used for tanning animal hides into leather. Samuel Luster chose this location to built the tannery because of the proximity to Nine Mile Creek, which he divereted to provide the water needed for the tanning vats in the basement. The building is especially large, given the time it was built - about 4400 square feet - twice as large (or more) than any stone building (churches excepted) this old in Cleveland or any of the immediately surrounding communities. It was surely a major landmark when built - and today, represents an important landmark of the transition between an agricultural and industrial economy. It is, quite simply, the most important unrecognized 19th century structure in Cuyahoga County. 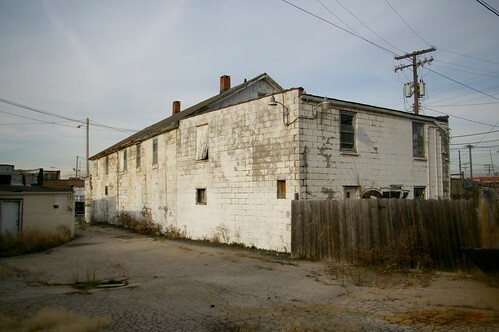 When I first wrote about it, I noted that the building seemed abandoned, and that the back taxes, now more than $30,000, were the biggest obstacle to doing anything with the property. 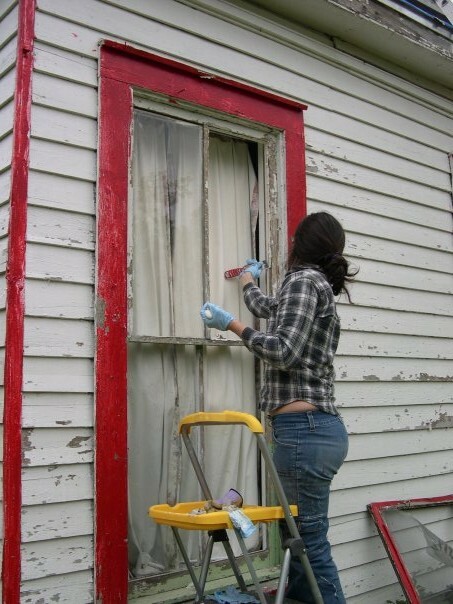 The biggest obstacle I faced, however, was that I had no idea as to the interior condition of the property. What did it look like? 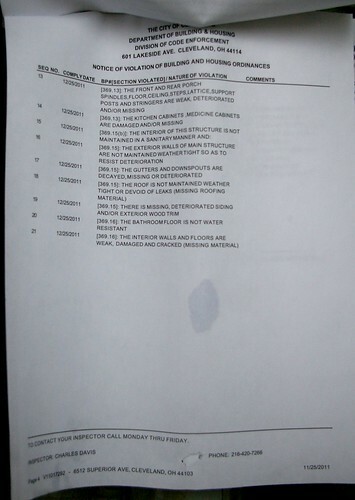 What historic details remained? How could this information help me to better illuminate this significant piece of our history? A couple of Cleveland Area History readers did a considerable amount of legwork and tracked down the owner of the property and obtained the owner's permission to go inside. Further, these colleagues found someone with a key to the building! I'd been waiting for this day for ages. I knew that the tannery itself would reveal all sorts of heretofore details, and that the clues present would help explain so many unanswered questions. The way the basement was built would help reveal the path of the diverted stream. 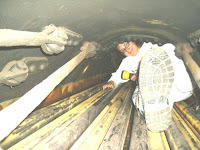 Perhaps the tanning vats, too difficult to remove, would still be present! My quest for historic detail took me to the attic. Here, part of the original structure was revealed - in the form of a beam cut out to make for more storage space. 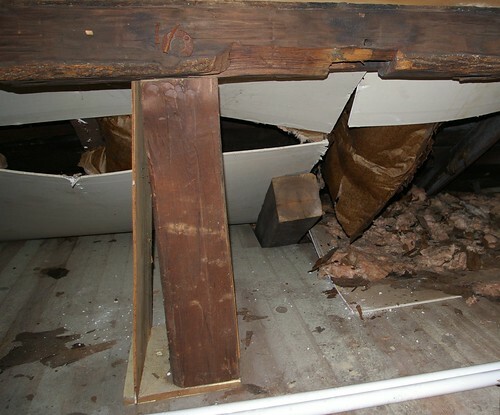 This was not an isolated case - it was done to most of the beams supporting the roof. 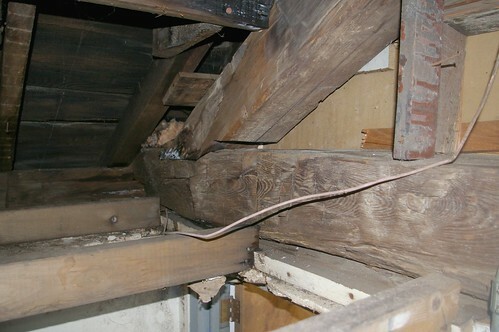 Said beams were replaced with lighter-weight lumber, which, with one exception (where there was a leak)seemed to be holding up well. Other structural details were revealed here - though I'm not sure quite what they mean. Astute readers will notice that I haven't talked much about the rest of the interior. That's because, while I have plenty of photographs, there really isn't much to see. The interior has been remodeled so many times that much of the historic detail has been obliterated. Even the ceiling joists on the first and second floors are replacements. 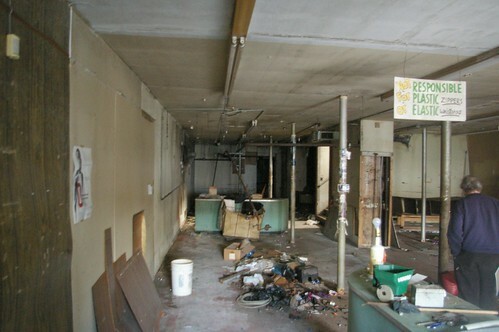 The basement, which I had such high hopes for, is covered with concrete block. Elsewhere, walls are covered by paneling or drywall, concealing some part of the story. In some ways, the lack of remaining detail might be seen as an asset - as one might make it serve any number of uses without loss of historic material. That said, I'm sure that, underneath the various remodelings, there's original material that will help tell the story of the Luster Tannery - and whoever does the demolition will need to be sensitive to this. This building could be repurposed in any number number of ways while retaining its historic presence. Nine Mile Creek was not a tiny stream. If the scale on the Sanborn fire insurance maps I've utized is correct (and I have no reason to believe it isn't - they're generally quite accurate), it was a good 20+ feet wide. Try to imagine the tannery itself as it might have been then. The first floor would have had a row of windows, just like the second floor. And below the first floor, there would have been another story! This basement, half exposed on the hillside, is where the tanning vats would have been located. The stream would have been diverted through the wall at one point and out at another. This structure is probably all still present - it's just covered by dirt and fill. 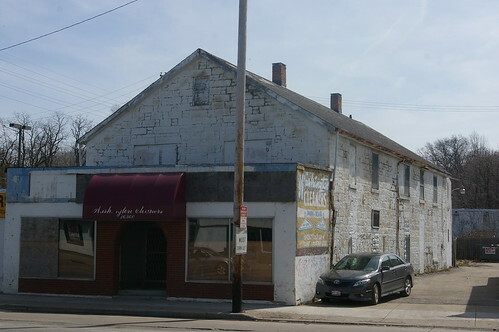 Here's my vision: A new owner could obtain the tannery, at very low cost, through the Cuyahoga County Land Bank. He or she would replace the roof and gutters and remove the additions to the structure, as they are now quite deteriorated. Over time, as they became available, he or she could obtain the other parcels that make up this block, bordered by Euclid, Hillsboro, and Belvoir - an acre all told. After removing the existing structures on the other parcels, the new owner could remove the fill that's been added over the years, daylighting Nine Mile Creek and revealing the hidden parts of the tannery. You'd have a historic structure and the recreation of a historic landscape - it's an intresting vision. Further, you'd be almost next door to the most impressive early cemetery in the city or any of the inner-ring suburbs - First Presbyterian (Nelaview). Surely some benefit could come from the proximity between the cemetery and this industrial landmark. Detail of a photograph, used courtesy of the Cleveland Landmarks Commission. 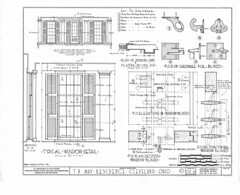 You may have heard about one structure that will be proposed for landmark status at the Cleveland Landmark Commission's meeting this Thursday, the Wolfe Music Store Building. 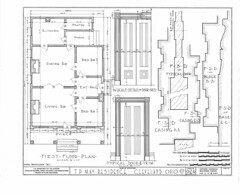 The building, at 2112 Euclid Avenue, was designed in 1927 by noted Cleveland architects Walker and Weeks. The ornate terra cotta facade remains a reminder of the care that was put into the ornament and design of this building, built more than 80 years ago. 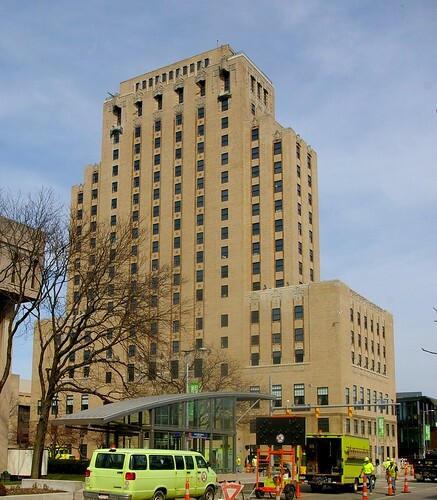 Cleveland State University wants to replace it with a new building - will that building remain a part of the landscape in 80 years? If so, will it be so visually striking? 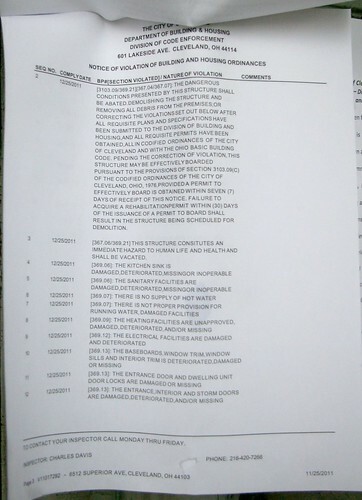 There are three more Euclid Avenue structures on the agenda - all true landmarks and all worth considering. One is the Stager-Beckwith house, at 3813 Euclid Avenue. This mansion is one of five or so remaining from what was once "Millionaires Row". 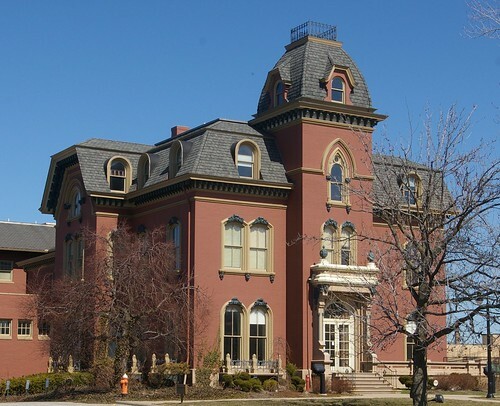 It was built 1866, by Joseph Ireland, architect. 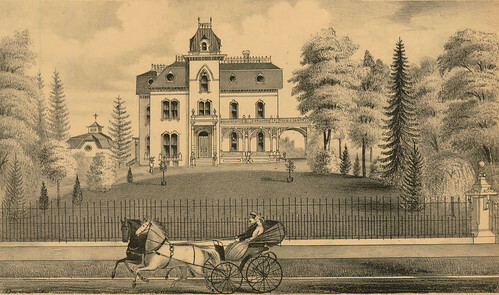 The house was illustrated in the Atlas of Cuyahoga County in 1874, just eight years after it was built. Note the ornate porch, now missing - and note how otherwise, it retains much of the original beauty. The gardens were quite extensive - try to imagine a house being built today with an estate like this at East 38th and Euclid. Today, the house is vacant. The National Town and Country Club (Fenn Tower) is a residential complex at 1983 East 24th Street (on the north side of Euclid Avenue). It was built 1929-1930. George B. Post and Sons, architects, designed the structure. 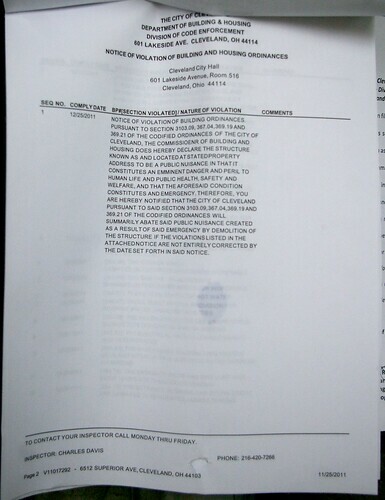 It is owned by Cleveland State University. I covered it in depth, back in December, 2009. Take a look at that story - the interior detail is impressive. The structure is an Art Deco landmark. 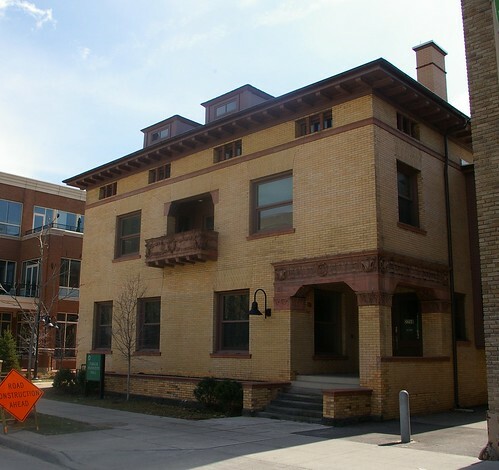 Finally, there's the George W. Howe house, at 2258 Euclid Avenue - also owned by Cleveland State University. It was built 1894, with Coburn and Barnum as the architects. It's one of five or so remaining residences built when this street was known as Millionaires Row. The front entryway to the house has some impressive detail. The Cleveland Landmarks Commission meets on Thursday, at 9:00 am in room 514 of Cleveland City Hall. 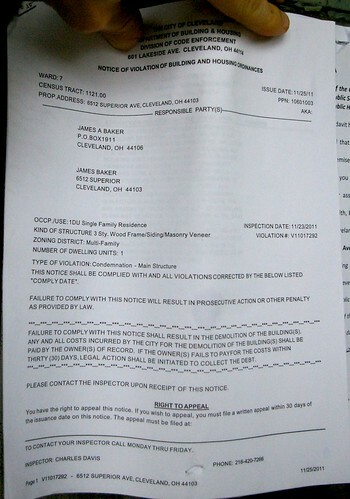 My name is Jessica Ugarte, and I am an enthusiastic new resident of the Cleveland area. I am also a preservationist at the Cleveland Restoration Society, with both Bachelor of Arts and Master of Science degrees in the field of historic preservation. Through a combination of classroom studies and preservation-related employment I have had the opportunity to be involved in stabilizing and restoring many different types of built culture. 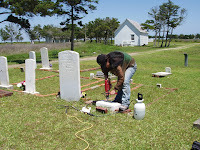 Over the past decade I have worked on projects like repairing the interior plaster of a 1920s theater, leading a project to stabilize an important 1890s home shortly after Hurricane Katrina, participating in the restoration of a 1910 steam locomotive engine, and heading a project for the National Park Service to stabilize and repair marble funerary monuments on remote islands on the Outer Banks. While I haven’t seen or worked on it all (yet), my years of focus on material conservation and science usually enables me to have a good idea of what needs to be done and even how to do it. 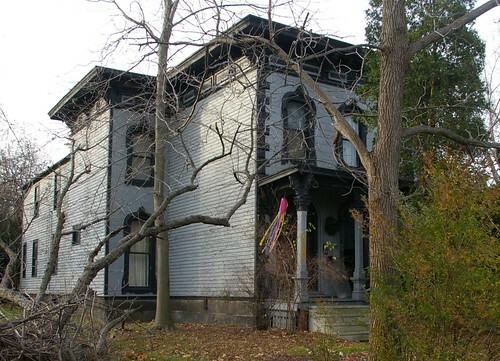 Cleveland Area History has asked me to start writing a regular column on this website where I will be answering reader questions about the materials, deterioration, repair, and even construction of their older or historic Cleveland-area buildings. But in order for this to get started, I need to hear from you! 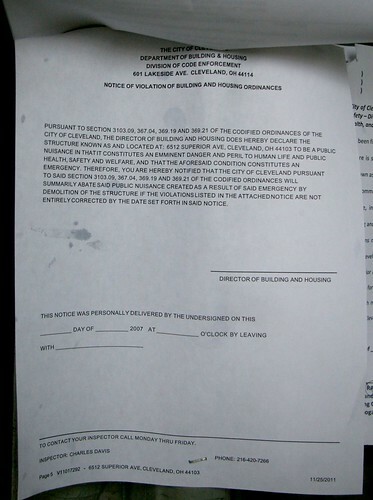 Please email your inquiries along with your name, phone number, the property address and an image if possible to: jugarte@clevelandrestoration.org. While I promise to respond to all requests for information and assist in any way possible, not all questions and answers will be able to be posted here on Cleveland Area History. Additionally, depending on your particular question and needs, a more in-depth follow-up may be required. I look forward to hearing from Cleveland Area History’s readers and finding out what questions may be on their minds. 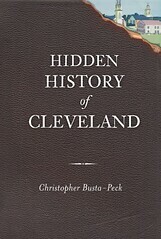 Mystery Painting: Win a Signed Copy of Hidden History of Cleveland! 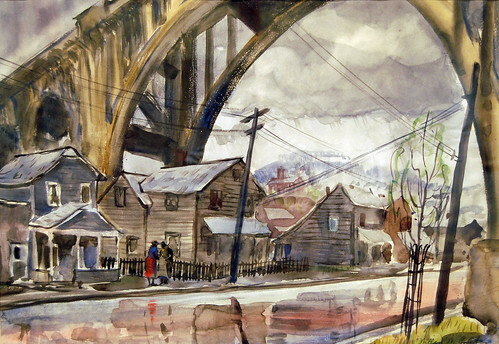 Since I first saw this watercolor painting, Under the Bridge by Willard Combes in the book Masterworks from the Cleveland Artists Foundation, I've liked it. The image, painted in the 1930s, is said to be of a Cleveland neighborhood. But where, exactly, is that neighborhood? The combination of a high-level bridge and residential street ought to provide enough information for one to identify the site where Combes found this composition - there aren't that many high-level bridges in this town - yet it remains unknown. The various maps available through the Cleveland Public Library might contain the clues you need. In my quest for compelling historic imagery, I come across plenty of things that I can't use, simply because I can't figure out where the scene portrayed was physically located. This print, The Vanishing Forties, Cleveland, Ohio, by Rudolph Stanley-Brown, is one such case - one that's been bugging me since I first saw it, more than a year ago. It's likely that Stanley-Brown made the print in 1924 or 1925 - he entered The Thirties and The Fifties into the Cleveland Museum of Art's May Show that year (May Show Database). Photograph by Carl Waite for the Historic American Buildings Survey, November 2, 1936. Detail of the original, used courtesy of the Library of Congress. 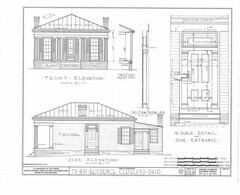 The style of the house is very similar to two Cleveland structures, both now lost - the H. Mould house, at 2637 Cedar Avenue, and the Leonard Case homestead - documented by the Historic American Buildings Survey (HABS), one of the many make-work projects that came under the auspices of WPA in the 1930s. I covered the Leonard Case house, which was built c. 1820, in detail, back in 2009. The H. Mould house is said to have been built later - 1860 - but the large central chimney makes me suspect an earlier date. I would guess, based on the title of the work, The Vanishing Forties, that the house was built in the 1840s - or at least that's when the artist thought it was built. Detail, T.P. May residence. Rendered in 1935 by Isadore Wasserstrom for the Historic American Buildings Survey. Yesterday, I was browsing through the HABS drawings for this region, when I came across the T.P. 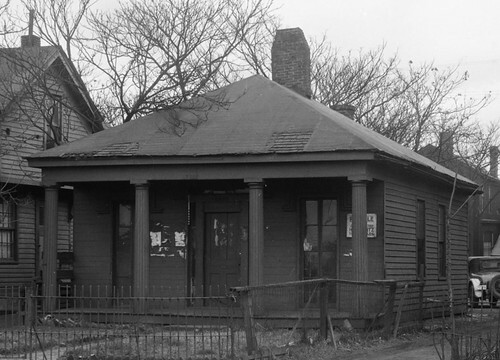 May residence, at 1458 East 12th Street, Cleveland, Ohio. 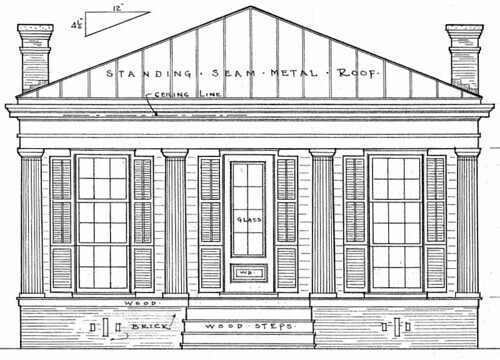 It looked similar to the house in Stanley-Brown's print - but only similar - there were several significant differences. The bases of the columns were different, as were the windows. The roof lacks the vertical lines, too, but that could be the artist's choice. I was going to dismiss the possibility of the HABS drawings being of the same structure that Stanley-Brown depicted, but, out of stubbornness - I really wanted it to be the same one - I persisted, trying to identify details that were the same. The tops of the columns and the trim above them are the same. So are the proportions of the porch. The same can be said for the spacing of the windows and the pitch of the roof. Both have brick foundations, at a time when stone would have been more common. The front steps cemented my opinion that The Vanishing Forties does, in fact, depict this house. This detail, of the floorplan, illustrates them clearly. It can also be seen, in less detail, in the renderings above. Note that the steps aren't entirely in front of the porch, as would usually be the case, but partially set into it. Perhaps this was done when the sidewalk was widened, or perhaps the house was originally this way, allowing the builder to make the house a little bigger than he might have otherwise. Whatever the cause, it's an uncommon detail, one that confirms the identity. 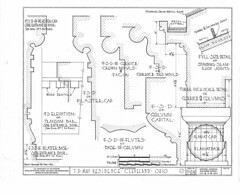 I've seen other houses where the HABS architects reconstructed the original appearance of structures that have been changed considerably. One example is the H. M. Gillette residence, near Wellington, Ohio. In that case, a porch had been added around most of the house, concealing much of the detail. They were able to make measured drawings to show it as it was, and used an earlier photograph, by I.T. Frary, to aid in the illustration. The house while still having evidence of good design and sturdy construction has been used in recent years as a ware house and consequently many of the better details have been destroyed. T.P. May residence. Rendered in 1935 by Isadore Wasserstrom for the Historic American Buildings Survey. The four pages of renderings provide an incredible amount of detail - the hardware is included, as is the exact dimensions of the seam on the metal roof. With the information present here, one could build a house virtually identical to the original. The biggest obstacle would likely replicating the method of construction - modern tools simply don't leave the same tool marks as tools used in the 1840s. One final note: the building in the background is the Hotel Statler, at the corner of Euclid Avenue and East 12th Street.